I was surprised that the money used in Singapore today are what is called as "polymer" plastics.. it is very colorful and there are many security features.. and the people like them because it hardly gets crumpled and it seems that it also stay clean.. but for me, I prefer our paper bills..
the singaporean paper bills are "unique"
pero i kinda don't like them also dahil sa malaki yung bills nila. hindi kasya sa wallet na ginagamit natin dito sa pinas yung bills nila. it always stick out sa edge ng wallet, nacrumple yung papel. the new ones (2,5,10,20,50 and 100 dollars) are smaller than our bills.. on another subject, the august 20 coin auction by bayanihan will be held at max's (look at their facebook site)..
the current series 50, 100, and 1000 are wider than our banknotes (oh and i don't think there's a 20). i used to have a 100 and even the 1000 bill but i got broke one time and had to exchange it to peso. :D that's the downside of having high denomination foreign currency; the exchange rate is just too tempting. lol! yes, i remember that there was no 20 dollar bill, and the 2, 5 and 10 are smaller than our peso bills.. but i can not remember now if the 50 or 100 dollar bills are larger because only the small bills were in my wallet and the big bills i keep on an envelop with my passport (i was afraid of losing my wallet out there)..
my bad. 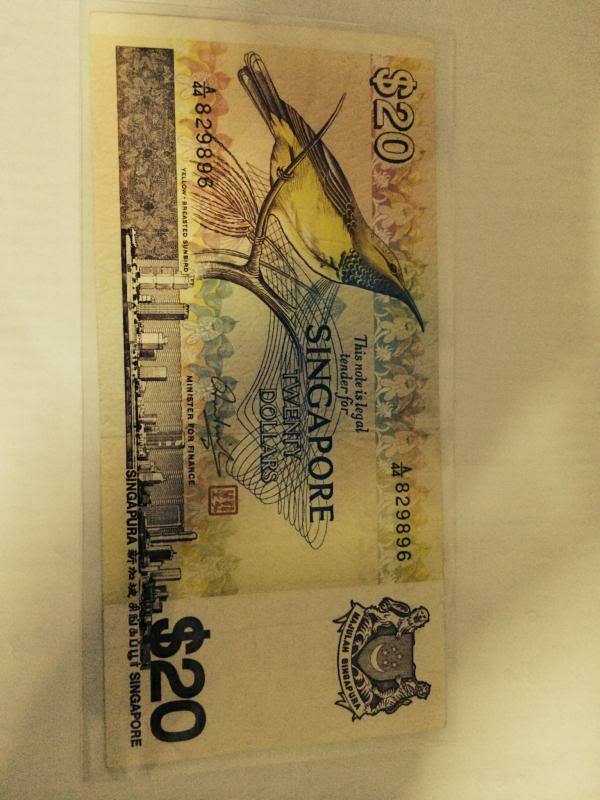 looks like there's indeed a singapore 20 dollar bill (click for pic). 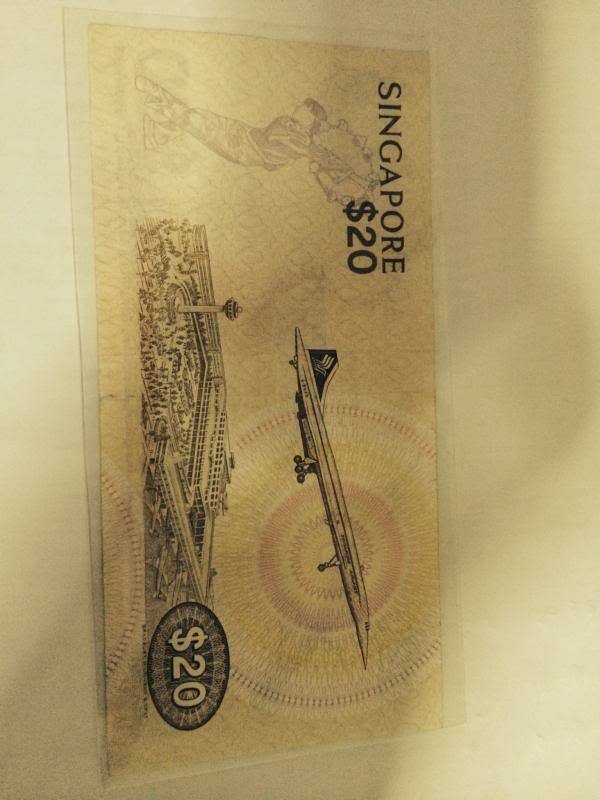 it's a commemorative but still 20sgd nevertheless. Mayroon po silang bird series notes(1,5,10,20,50,100,500,1000,10000) issued 1976-1984.
na kasama nga ung 20 dollar notes.